I am not ashamed of my love for food. That love is only enhanced by images and videos I come across on my social media feeds. Bread seems fluffier, soda looks bubblier, and ice cream appears smoother. It’s an absolute pleasure for my senses. Posts by food brands that appeal to the senses, that makes your mouth water, trigger hunger and encourage people to go out, buy the product, and eat it. I can’t tell you the number of times I’ve made a special trip to the nearest gas station to buy a cold bottle of Coke after seeing an ad for it. I’m not the only one making a trip to the store in pursuit of a delicious product. According to Emarketer, 96 percent of US internet users prefer to shop for food and beverages in-store because they want to see the quality of the product in person. 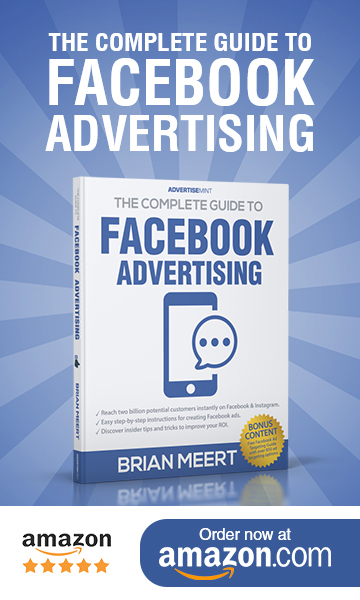 By effectively marketing food and beverage products on social media, brands can influence consumers’ appetites, can influence them to go out and feed their hungers. There are a few specific food brands I like to follow on social media because they’re so effective at appealing to my senses. In this article, I will talk about my favorite food brands’ best social media posts and why they’re effective. I challenge your mouth not to water while you read. Nothing says “drink me” like a tall bottle of ice cold Coca-Cola. While the product sells itself (a static image of a Coke can do it for me), the brand incorporates current events to keep the brand relevant to users. 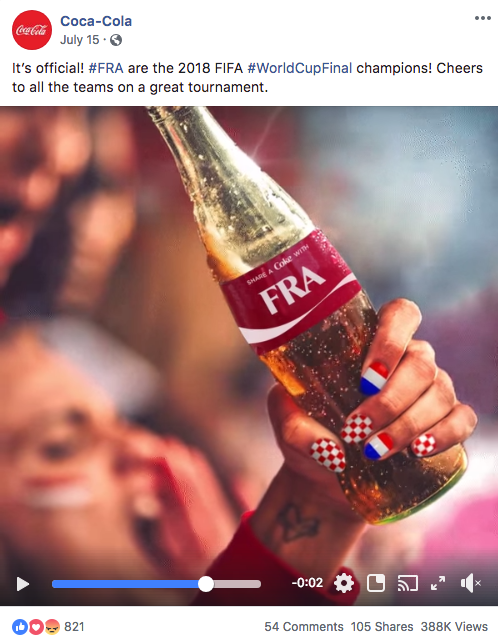 In this Facebook post, Coca-Cola mentions the FIFA World Cup Final in the post text, tying the social event to the beverage brand with the word “Cheers.” The post’s message is clear: celebrate with a bottle of coke. In another example, Coca-Cola ties its brand to Thanksgiving. In the video, a family shares a Thanksgiving feast, which includes a giant turkey and bottles of Coke. Both posts show the product, a glass bottle of Coke, in relevant social settings while also making the beverage look tempting, with sparkles through the glass and condensation dripping along the edges. Dairy Queen presents its popular Blizzard ice cream treats in a fun way that appeals to our inner child. 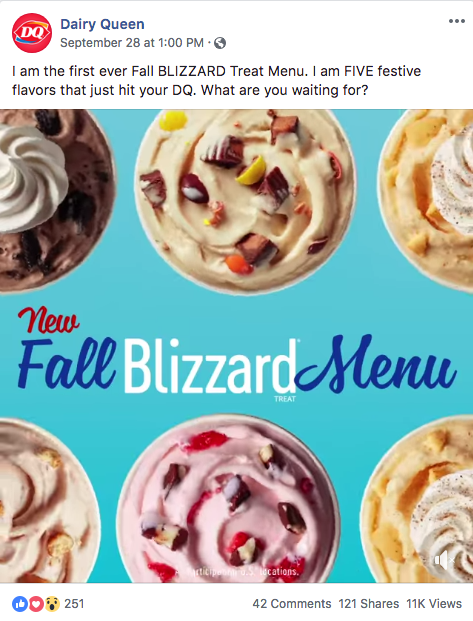 In this Facebook post, Dairy Queen playfully features its fall Blizzard flavors from an overhead view against a bright blue background so you can see the textures, colors, and toppings. You can’t help but get the urge to go out and treat yo’self to a sugary ice-cream delight. In this short Instagram video, Dairy Queen promotes its pumpkin pie Blizzard flavor. It contrasts the product with pumpkin pie, switching between the two desserts so you associate the favorite fall flavor with the product. 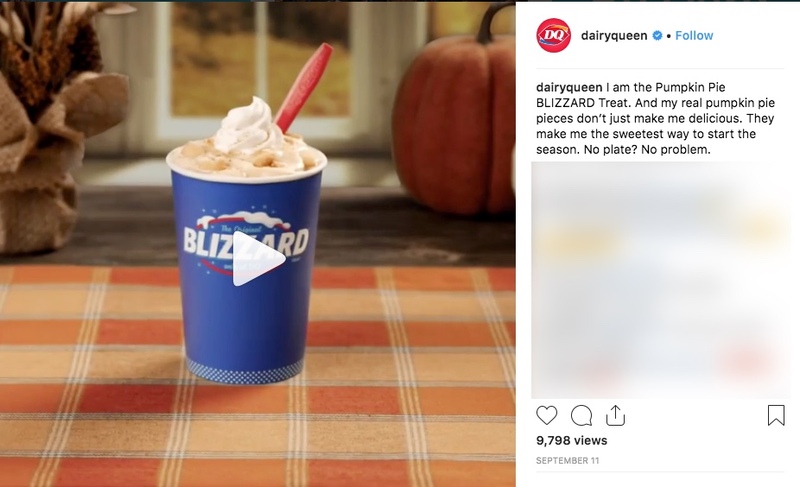 Dairy Queen recognizes consumers’ current taste for the fall season and taps into those taste buds to get you to indulge in its seasonal flavors. Panera Bread features close-ups of its dishes so you can see the colors and textures in such detail that your mouth starts to water. 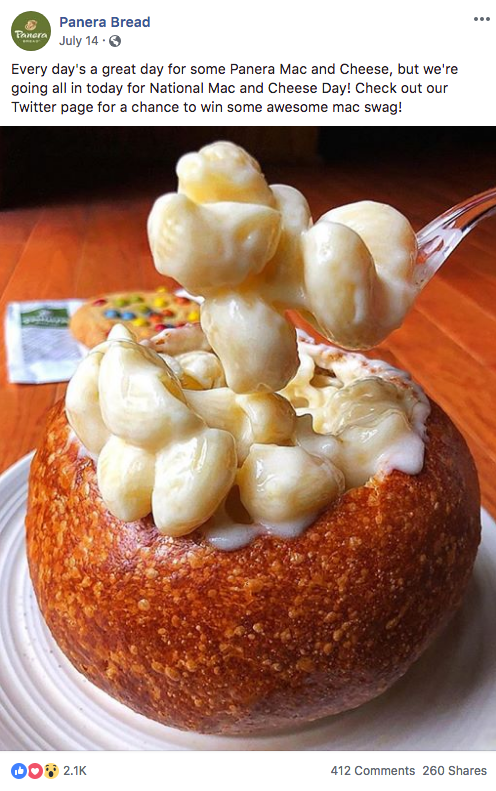 This Facebook close-up of Panera’s mac-and-cheese bread bowl shows the cheesiness of the pasta and the crinkle of the bread. You half expect the spoon to jump straight from the screen to your mouth. When it doesn’t, you consider grabbing your keys and making it happen. In another post, Panera shows off fresh ingredients in this particular close-up. The bright greens and reds are the main focal points of the image, which are colors we typically associate with the word “fresh.” Looking at it, you can almost feel the crunch of the lettuce between your teeth. 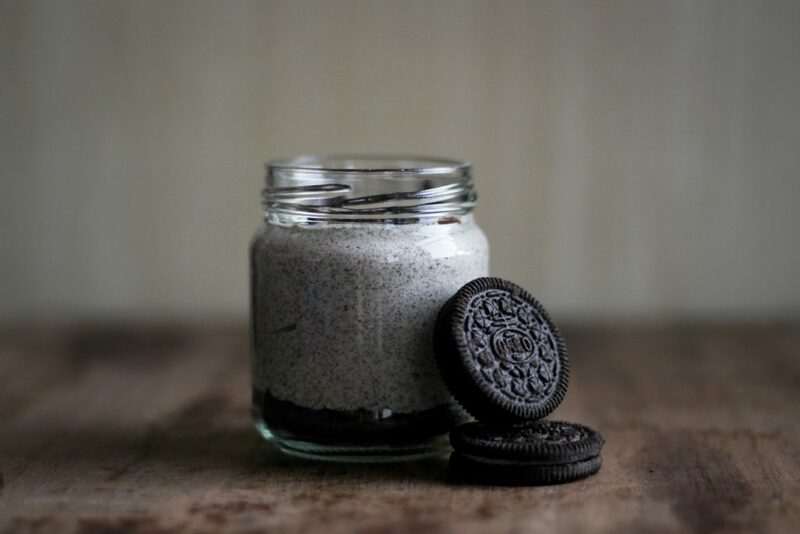 Oreo knows that most people who think of children and milk and cookies think of its product. That’s why the brand uses those associations on its social media posts. 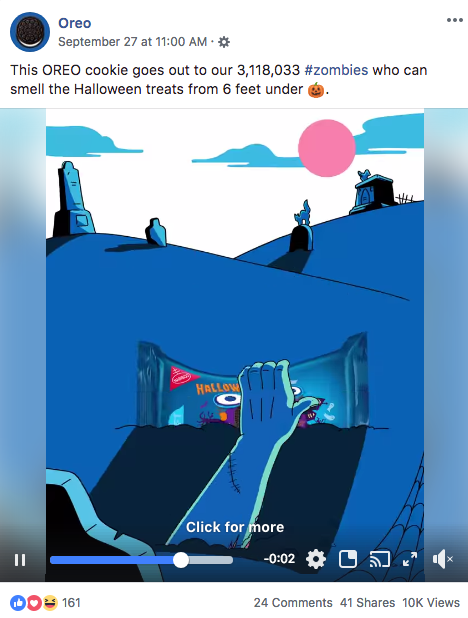 Oreo uses a cartoon animation in a Facebook post to promote its Halloween cookies. It’s creative and relevant while also making the product the focus. 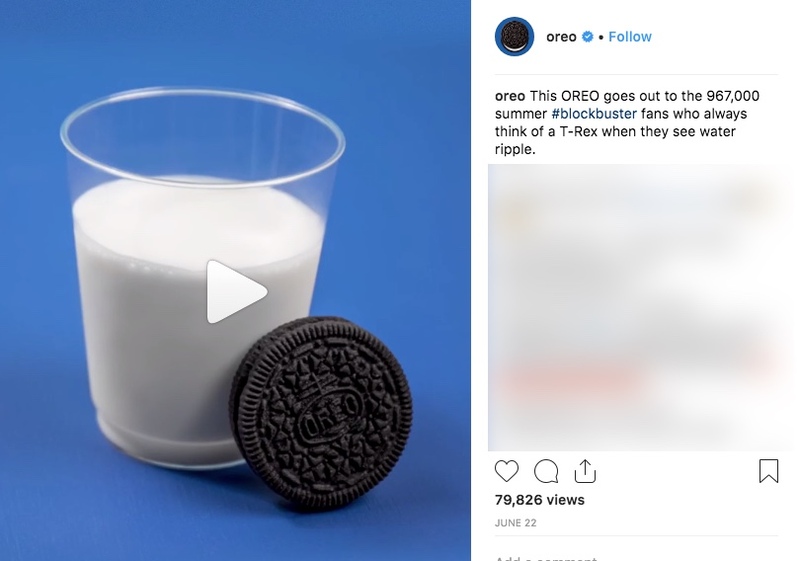 The simple pairing of one Oreo cookie with a glass of milk effectively evokes the taste of milk and cookies in this Instagram video. When played, the video is primarily static aside from the milk swishing in the glass. The use of the blue background references the brand colors while also allows the milk and cookies to pop. Who wants some milk and cookies? I do! 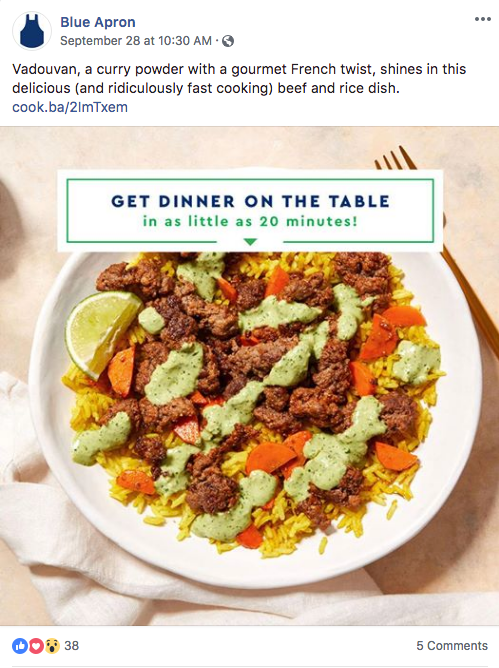 While most food brands only have one product to highlight, Blue Apron has the unique challenge of promoting its food choices. The food delivery brand accomplishes this by featuring one of its many meals and listing the variety of fresh ingredients that go into the meals. Matching the recipe with a colorful image of the dish gets you thinking about dinner. Adding the “20 minutes” value proposition makes this post extra effective. 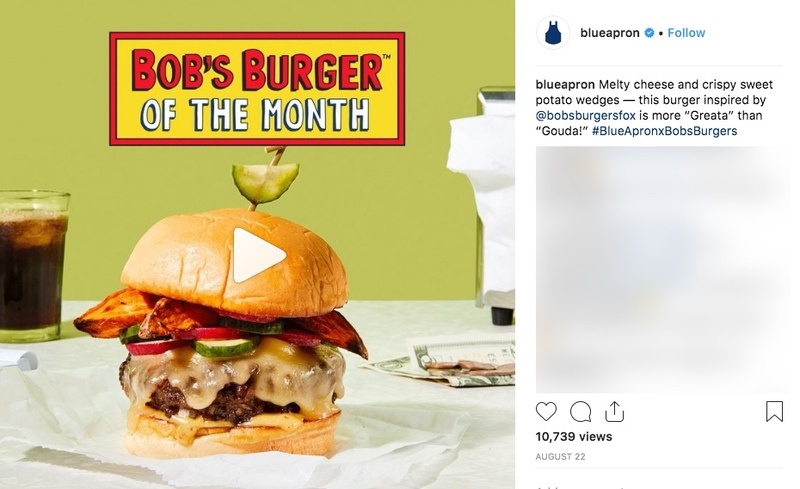 Blue Apron again describes the ingredients in this Instagram video, but this time it adds the pop-culture reference, Bob’s Burgers, to feature this particular burger recipe. Not only can you imagine the taste of the burger, but you can also imagine eating it in a Bob’s Burgers setting. Both imaginings are positive, influencing your decision to subscribe to Blue Apron. 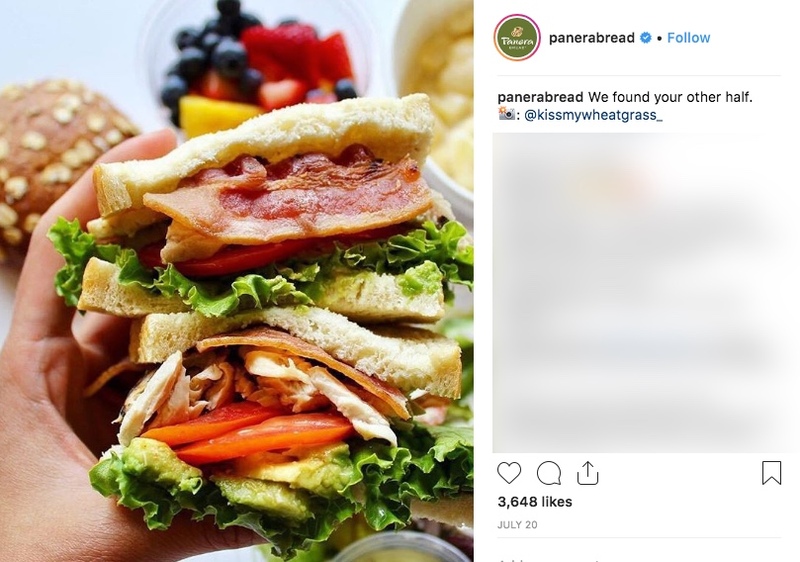 These social media posts are a few good examples of how brands strategically, creatively, and effectively appeal to consumers’ appetites, turning them into loyal customers. I bet your mouth couldn’t help but water while examining those posts.